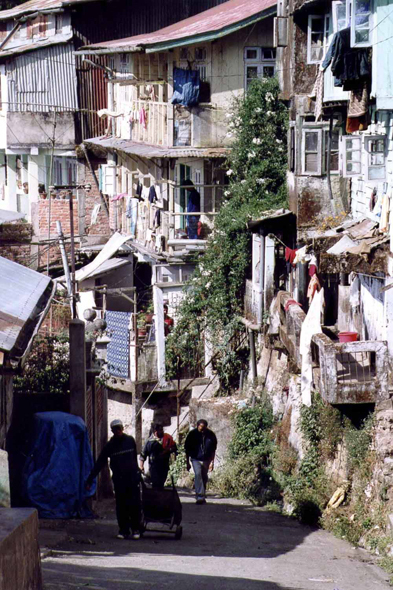 A street in Darjeeling. The name of Darjeeling is synonymous with tea in the whole world. Its mountainous climate permits to escape from the hot seasons and moisture of the plain.